Terri and Jade were doing well in 2016 until Jade was sidelined with an injury in July. It was one of those freak accidents that can happen when a horse’s energy gets up and they start tearing around the field blowing off steam. He was ready to ride again by January of 2017 but too late for the February season start. So Terri and Jade took it a little slower this past year, competing in a few of the major events and riding mostly at home. 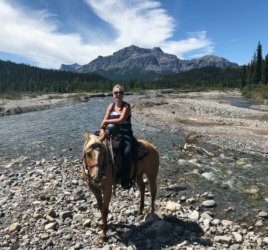 TH – I told myself “I wanted to find out what people who don’t have horses do with all their time.” I didn’t necessarily accomplish that goal because I still rode a lot. I did some renovations and decorating but I got bored with that, so got back into riding.My husband Bart and I do the National Reined Cow horse Association tour every year traveling to Fort Worth in February; Las Vegas in March, we go to California in June and then in October we’re back to Fort Worth with a stop in Idaho on the way home. One of the great things about my job is as long as I have internet and a cell phone I can work from anywhere. I can remote access the system in the office so it’s pretty much like I’m sitting at my desk in the office. It’s a job that offers a lot of flexibility so it’s both a great thing and also the downside. The only time I really leave it is when I’m on the back of the horse. 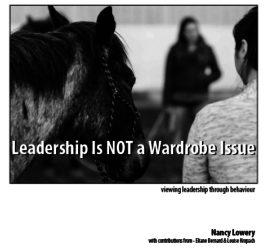 NL – What have horses taught you, about who you are as a leader in the workplace? TH – There are a couple of things. Relationships are a big part of it. I have what I would call a deep relationship with all the horses I’ve shown. I had a strong relationship with Pickachicklet, a horse I retired a couple of years ago. It’s the same with Jade we connected and bonded. He takes care of me and I take care of him. I guess it’s the same with my business partners the office. I have 9 business partners I work with on a daily basis and we all share a deep bond. We are good friends and have a great working relationship. Same with my clients. I’ve had clients who have been with me for many years. They trust me and I take care of them and we have a solid relationship. I think that is a big part of it with both horses and people. The other thing I’ve learned is trust and boundaries. 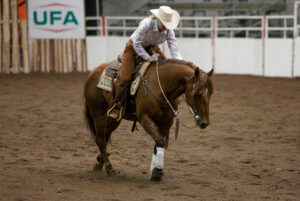 When you get into that show pen have to trust the horse, especially these performance horses they have a lot of pride and they are well trained – you have to trust they will do there jobs and you have to let them do it. I find that Type A high performing horses are the same as Type A high performing people, you have to trust them and they need well defined boundaries, because they hate making mistakes. When you stay out of their way and they know what is expected they do their job so much better. Human or horse, high performers have high expectations of themselves and hate making mistakes. If you let them know they’ve done something wrong, there are some horses that really will worry so you can’t be too hard on them. Same with people that beat themselves up when they make a mistake. You have to be careful and not be too hard on them. NL – When you meet someone who is a high performer? What are some things you’ve learned to help them find the good in whatever the mistake was? TH – My flaw as a rider is the same flaw as a leader. When something is not right, I don’t give enough feedback in a timely manner. When I’m out in the practice pen and my horse isn’t doing what he should be I don’t let him know soon enough. Bart is always telling me that. Sometimes it backfires on me too. If I don’t let the horse know in a timely way when we’re practicing and then I let them know in the show pen, then they really get worried. I also tend to be a helper and want to help too much. It’s like “I don’t want to bother you, I’ll do it myself.” So I know I have to be more timely on my feedback and stop helping both horses and people so much. 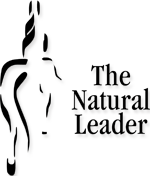 NL – What’s your strategy – to catch yourself when you are being the helper versus correcting or bringing something to someone’s attention? TH – I have to recognize it’s a learning opportunity. If I fix something someone’s done without telling them, I’ve denied them a learning opportunity. It’s the same with my horses, I have to remind myself I’m not being the helper, I have to stop worrying that it’s bothering them. It’s recognizing I’m denying them the learning opportunity. At the end of the day the horse is my release. When you make your living with your brain you need a release. So when I find myself working too much I’ll go hang out with the horses and maybe just pick stalls. Everything just disappears and sometimes I do my best work after I’ve been able to free up my mind. So I’ll go for a ride and then go do my thing, or deal with the issues I need to deal with. Riding is good for the soul. I know that phrase is overused but I don’t know what I would do as a leader or how I’d manage the stress in my life if I didn’t have the horses in my life. NL – I call it manure meditation when I need to clear my head. NL – How do you help others see the importance of clearing their head when they get stressed? TH – Horses are probably a little easier than people. With Type A individuals they are very much tied to their job, but every one of them has something that they like doing hockey with their kids, golf. Everyone needs their release – one of my partners recently took out a golf membership and he admits that getting out of the office has changed him. If I had my way everyone would have a horse. They might see the benefit to the soul, but might not like the drain on the pocket book. We have a lot of millennials in the office who add the typical generational difference, in particular a demand for balance. When they see me traveling to Ft Worth and California and being able to balance my career with what I love. I believe that sends a good message about this being a pretty good career to be in. A truly balanced lifestyle is something that is part of the culture of our office. I always say I work hard at the office because I want to be able to get home and ride my horses and I want to hang out with them. NL – Is the balanced life style then, one of the most important things that horses have taught you? TH – Yes, that is a good observation. That is exactly what horses have taught me. The accounting profession has a bad rap for being a workaholic industry. Absolutely horses have taught me the importance of balance. NL – Have you been able to achieve that balance through time or is it something you have been able to do all along? TH – I’ve been with the same firm 25 years, I’ve been able to do it because it’s important to me. Early in my career I was trying to prove myself and made partner in 2000. It was about 2003-4 that I decided I had to get back to who I was, that I had to get back to what I grew up with. It was always my intention and goal to get land and get back to horses. Then I realized if I do this right I can be good at both my career and horses. I found a way and I made sure we had the technology to support remote work. I’d say I’ve done an ok job of balancing both as a managing partner and becoming world champion. That’s no small achievement. NL – I’ve met people who want success to happen faster than it is. Just because you wanted to do it, did it just happen? 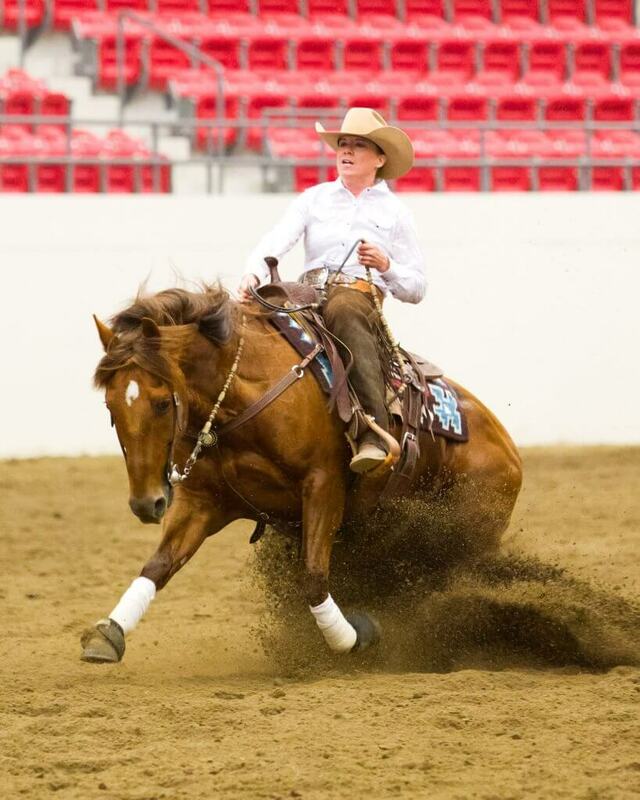 TH – As hard as I work in the office I will also spend hours in the arena to perfect a maneuver. You have to spend a lot of hours in the saddle. You don’t just buy that horse and go into the arena and win, you have to earn it. 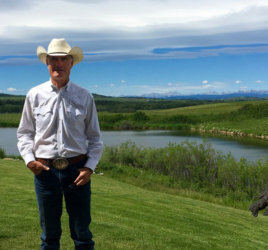 NL – If there was one thing that others could learn from working with a horse. TH – Relationship is what I go back to. To me it’s all about the horse. We love the cow horse community, it’s fun to be around and be a part of but at the end of the day it is about the relationship we have with our horses. Horses come in and out of our lives but it is the strong ties with these horses that have made us successful in the show pen, I believe that is the same with people. Like I said earlier I wanted to find out what people do with their time without horses. Our vacations are always working but it’s around the horse so they are relaxing and fun too. They help me keep my sanity. It’s hard to explain to non-horse people. Check out Down the Fence on Netflix to understand the sport, community and why we do this. Thank you again for for your time. The first time Terri and I spoke I was using a new recorder which failed. So I was extra diligent this time and recorded in on two different ways so as not to lose it this time. So Terri thanks for your patience it was delightful to chat with you again.